Buildings communicate. Stained-glass windows, high altars, multipurpose worship-gymnasium spaces, Plexiglas pulpits, padded pews—all these and other architectural elements say something about a congregation’s theology and mission. They point to a faith community’s beliefs about worship, identity, purpose, and more. Sacred spaces speak loudly. What they say can either reinforce a congregation’s mission or detract from it. That’s one of the things we at the Indianapolis Center for Congregations have learned in our more than nine years of working with Indiana congregations about issues related to their buildings. We’ve held consultations with congregations, hosted a conference on sacred space, and led 49 Indianapolis-area congregations through the Sacred Space Grants Initiative (SSGI). This latter project required representatives from participating congregations to attend four learning sessions before applying for a matching grant to address a building project. At the conclusion of their projects, the congregations submitted final reports describing what they learned. The experience of the Indianapolis Center and the SSGI participating congregations has led us to this list of “Top Ten Things We Learned about Congregations and Sacred Space Projects.” We are confident your congregation will find these pointers helpful as you think about addressing your building’s needs. Connection to mission is paramount. Sacred space projects are about more than bricks and mortar. Writing, rewriting, and/or studying your congregational mission statement is crucial to grounding sacred space decisions in the things that matter to your congregation. Communication is key. It is impossible to overstate the necessity of clear and continuous communication with the congregation throughout a building project. Some congregations we worked with expressed surprise at the number of meetings and the amount of work it took to make sure that everyone was informed on an ongoing basis. Congregational input is crucial. There may be no aspect of congregational life that elicits more extreme differences of opinion than do building-related issues. That’s why a number of congregations underscored the value of including all members of a congregation in evolving discussions that were used to make decisions. One participant noted that with dialogue, discussion, prayer, and a willingness to be flexible, consensus can be achieved. A master plan provides focus. A master plan by an architect helps a congregation consider its future growth and expansion in light of current property and facilities and helps avoid costly mistakes. For instance, one congregation avoided the major expense of re-paving its current parking lot when the master plan revealed that the next building phase meant that the parking lot would have to be torn up. A conditions assessment helps define priorities. A conditions assessment studies the status of the congregation’s existing facilities and provides a repair, maintenance, and replacement schedule for all of its major systems. 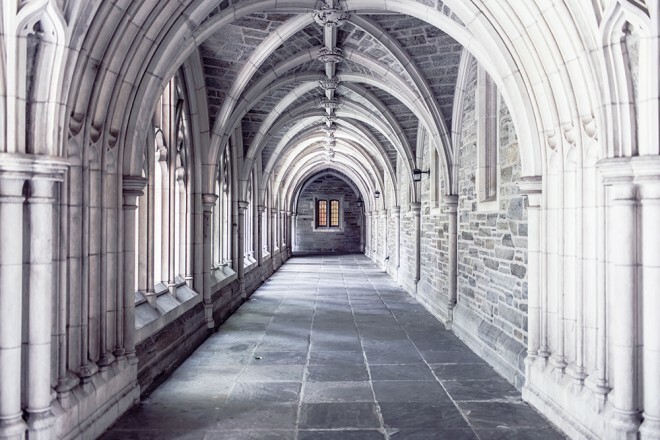 Several congregations using conditions assessments discovered that they had immediate pressing needs regarding masonry and drainage issues, leaking roofs, and more. A spiritual foundation is essential. One participant described her congregation’s spiritual work during their sacred space project as “‘slaying dragons’—dragons of uncertainty, fatigue, fear of the unknown, distraction.” Teams and congregations that prayed together consistently and repeatedly found the strength, wisdom, and guidance needed for their sacred space projects. Project cost is more than construction cost. Many congregations mistakenly budget only for the cost of construction. This misses the true cost of the entire project, which also includes site development, furnishings, new space upkeep, and much more. Expect the unexpected. We heard many stories about the unexpected challenges that congregations working on sacred space encountered. These ranged from their architect dying to being asked to document a land purchase in the 1800s! Prepare yourselves for the unexpected. Building projects demand time and commitment. There is really no way to anticipate the amount of time volunteers will need to invest in a congregational building project. Though sacred space projects inevitably take more time and commitment than anticipated, volunteers who serve report a sense of satisfaction and pride in what the project achieved. For more information about the sacred space model used in the Sacred Space Grants Initiative, read Holy Places: Matching Sacred Space with Mission and Messageby Nancy DeMott, Tim Shapiro, and Brent Bill, coming soon from the Alban Institute.